Product #18125 | SKU LG-EL27-GRYPUR | 0.0 (no ratings yet) Thanks for your rating! 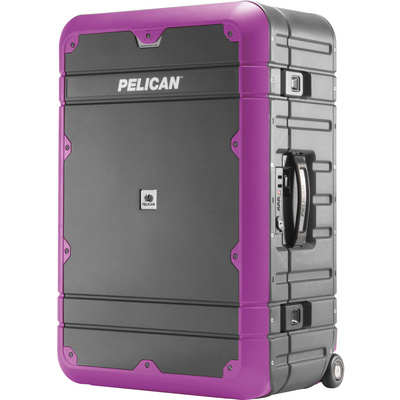 This gray and purple EL27 Elite Weekender Luggage from Pelican is TSA-approved luggage made of lightweight injection moulded HPX high performance resin. This model features the Enhanced Travel System, consisting of a lid organiser, Dopp style toiletry kit, zippered shoe sack, laundry bag and garment bag. Also included are Valox latches, a self-regulating vent, and stainless-steel hinge pins. The suitcase meets airline checked baggage regulations (measures less than 1.57 m).